It was a chilly night for race fans at Auburndale Speedway Saturday but some good, hot racing kept most of them from thinking just how cold it was in the grandstands. 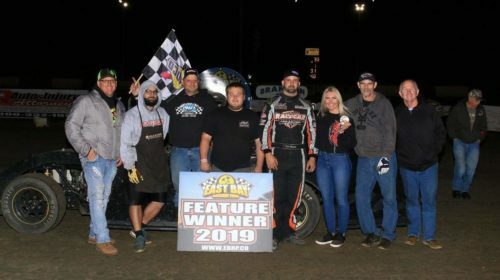 The Super Late Models were the feature attraction and, although just eleven showed up to do battle, battle they did in a race that had several twists and turns. 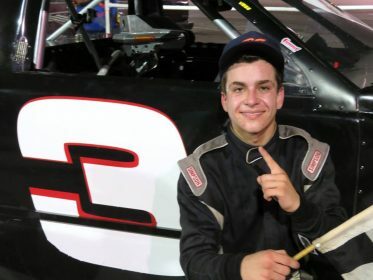 The lessons learned on Friday night paid big dividends for Tennessee racer Lucas Lee, who outpaced the 24-car field in the 75-lap Modified A-Main to close off week one of the 43rd annual Winternationals. 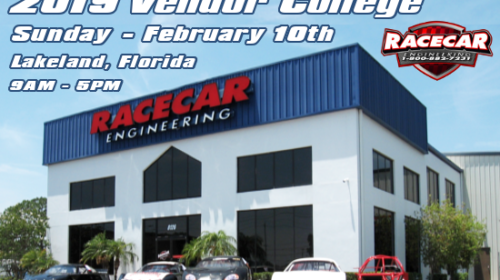 (Lakeland, Florida – January 2, 2019) Racecar Engineering™ has announced that they will be hosting a ‘Vendor College’ for all local, regional, and visiting racers and race teams during the racing action of Speedweeks®* 2019. This exclusive event will take place at Racecar Engineering™, 8126 US Highway 98 North, Lakeland, Florida on Sunday February 10, 2019 from 9AM until 5PM. 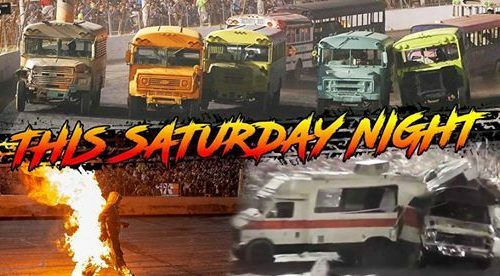 It’s once again that time of year as Auburndale Speedway switches from the regular stock car racing format to the craziness of the “Night of Destruction II” this Saturday night. As always, the School Bus Figure-8 race will highlight the wide variety of events that will take place. Also highlighting the evening will be a first-ever RV-Camper Demolition Derby along with a Front Wheel Drive Demo Derby, Chain Race, Flag Pole Race, Skid Car Race, Motorcycle stunts and a whole lot more. 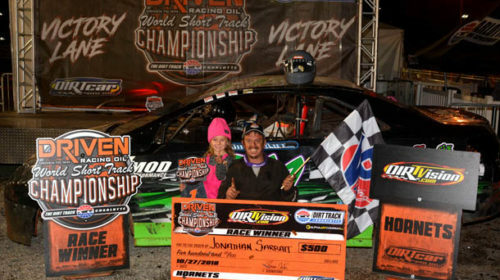 The DIRTvision FWD/Hornets showed up in droves and swarmed The Dirt Track at Charlotte for the Driven Racing Oil World Short Track Championship. Driver Jonathan Sarrat won the first and fourth Feature races, while Eddie McGrew and Robert Arch aced Features two and three. The Hornets thrilled the crowd with two, three, and four-wide racing all across the .400-mile Carolina clay racing surface. 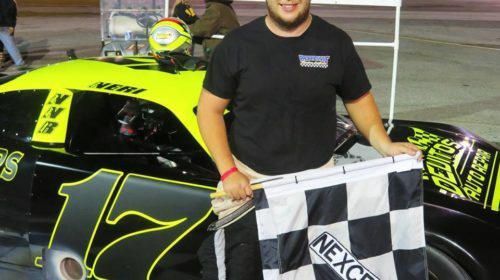 For the first time in recent memory Auburndale Speedway began its racing program Saturday evening with not a cloud in the sky and once the sun set it was a beautiful night for racing. The pits were jammed with the largest car count of the year and the race teams performed in front of the biggest crowd of the season next to the Night of Destruction. 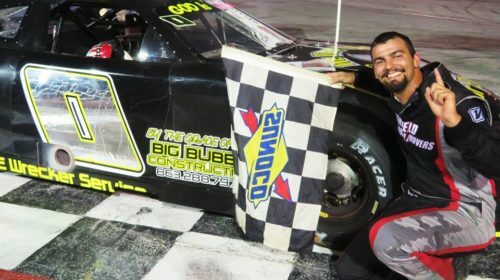 It was quite a night of racing Saturday at Auburndale Speedway as eight classes ran features with the action producing two first-time winners. A fine crowd was on hand under perfect weather conditions. 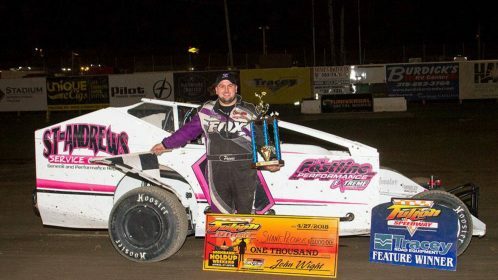 FULTON NY – April 27 2018 – Finally, DIRTcar Sportsman Modifieds all across New York thawed out, loaded up, and made the tow to Fulton Speedway. 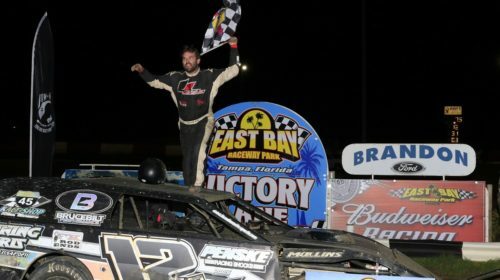 It took 50 laps to decide the first Sportsman Modified Central Region series race of 2018 and it was worth the long winter break. After trading the lead several times, Shane Pecore in the no. 0 took the lead on lap 23 and never looked back. Despite multiple cautions and restarts, Pecore managed to stay ahead hard charges by Matt Janczuk and Kevin Root. 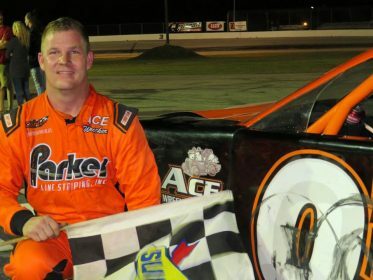 It was just “one of those nights” at Auburndale Speedway Saturday night as anything that could go wrong…. well… it did. The entire show got off to a late start as a pair of brief showers dampened the track during hot laps. Despite the delay, action still got going only 15 minutes late.